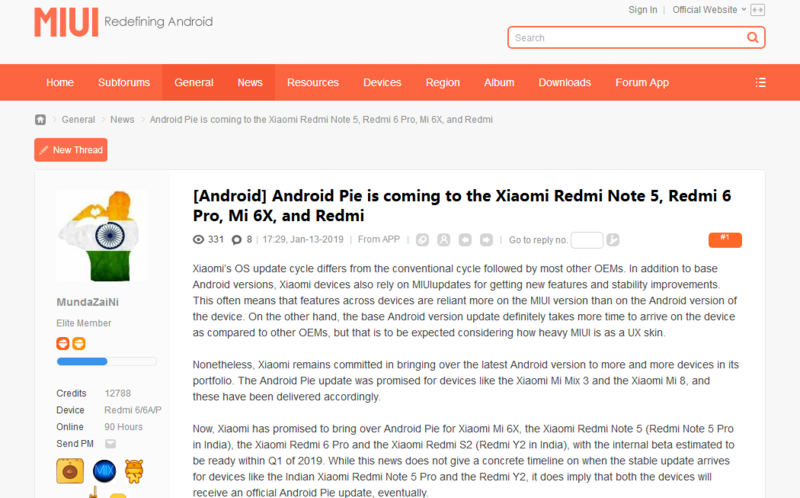 According to a post on the official MIUI forum, Xiaomi is recruiting beta testers for Android Pie for the Redmi Note 5, Mi 6X, Redmi S2 and Redmi 6 Pro. Apart from the Redmi Note 5, the other three phones launched with Android Oreo out of the box, so they should at least get one major OS upgrade. The Redmi Note 5 launched with Android 7.1.2 Nougat out of the box and already got an update to Android Oreo, so the fact that it is getting Android Pie is a big deal. And what about Flyme and Android updates in Meizu phones? Wake up my friend, you have Meizu, very bad support, don't buy Meizu again, is terrible. My next phone is xiaomi. Wake up Wake up Meizu not Mi dom't compare.